In the spring of 2015, Urban Tree Alliance and Wild Warner got together and planted 29 trees in Warner Park. We did it mainly in response to emerald ash borer disease, which had devastated the ash tree population in Warner Park. Urban Tree Alliance supplied the trees, Wild Warner and other volunteers provided the muscle to get them in the ground. 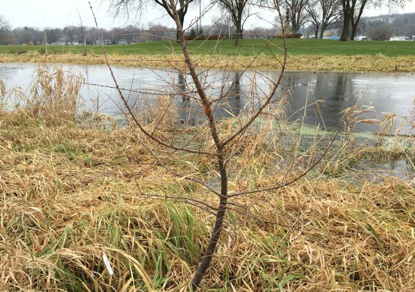 We watered the trees throughout the summer and fall and will water them again in 2016. The trees should be well established by then. Wild Warner made a pre-winter inspection of the trees in November, 2015. Of the 29 trees planted, 25 appear to be in good shape. One shagbark hickory appears to be dead. Three larch trees, also known as tamaracks, were accidentally mowed down in early fall. It is possible that they are still alive. Next spring we will search the area to see whether they are growing back. 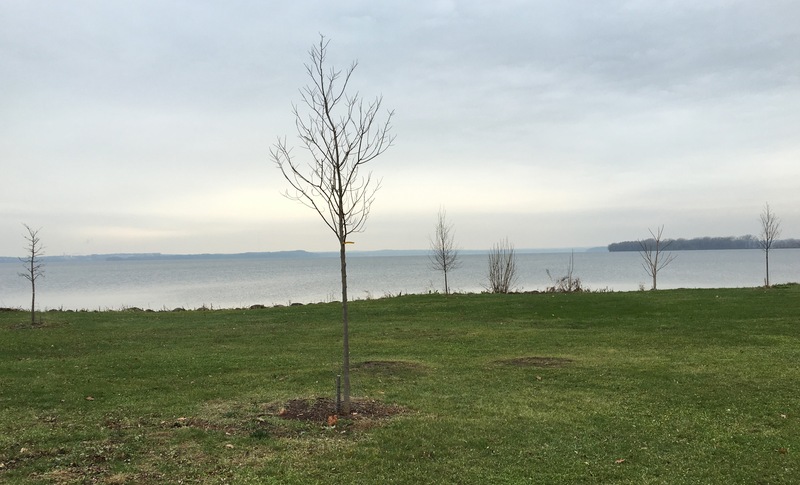 These are the 25 trees that as of November, 2015 appear to be doing well.